"It smells like a dog in here", my husband says. Being as my dogs are dogs, this doesn't seem to me to be a problem, technically. If, being a dog, they smelled like, say, a skunk -- now that would be a problem. I do give my dogs baths. Honest, I do! However; something about being wet, or even just a really humid day, brings out that 'doggie' odor. 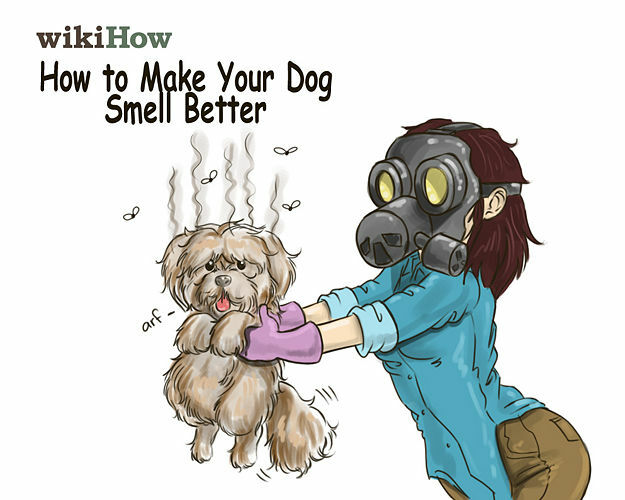 Every dog has a tendency to smell a little disgusting strong when wet. There are times that I smell dog odors but friends entering my home cannot even detect an odor. Or they lie straight to my face politely say. Then there is the 'roll on something rotten and half dead with maggots matted in your fur and the only way home is to get back in the car that your HUMAN doesn't want you in' smell. If you can love your dog when he's smells, then you really love your dog! Yeah... my parents used to be really good at it, but when my sister moved in with her three older dogs, it's gotten bad. I sit on the couch and ugh. It's hard, no? But I'll still take dog over stinky perfume! If we could only listen in on the dog's thinking regarding smell. Since their sense of smell is much better, they must have lots to say about various humans in their life.